We have TWO events on the trail next weekend! First, Friday, September 9 is Movie Night at the Edgemere intersection. Angry Birds is the feature. Dinner provided by Dickeys BBQ and will be served at 7 pm, with the movie airing at dusk. 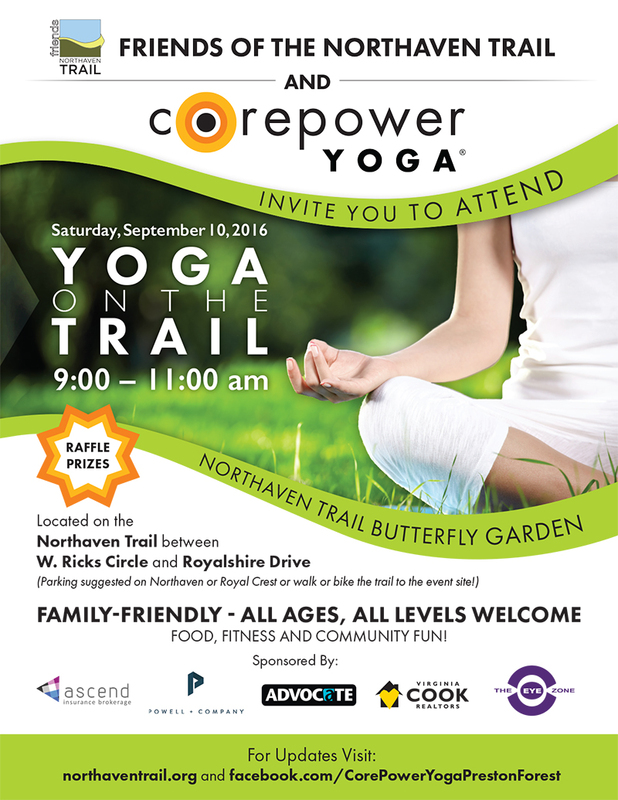 Then, the next morning, Saturday, September 10, join us at the Royalshire intersection for Yoga on the Trail with Core Power Yoga! Yoga begins at 9 am, and the morning will also feature the Easy Slider food truck, face painting for the kids, yoga posture clinics, and Against All Odds dog rescue! We hope you can join us for these fun events!